Perth being the capital of a state of Australia named Western Australia is a developed and beautiful city. From spectacular beaches to the grand skyscrapers everything seems to shock you. A mild temperature is always taken as perfect for traveling and is pleasurable. Perth has got the same mediocre but a perfect climate. Hot sunny summers are not at all a problem for visitors because they are mildly hot and the wind blows to keep it moderate. Cool and relaxing wind is another beautiful feature of the pleasurable environment. Perth's captivating landmarks and worth visiting places attract a lot of tourists. Art, culture, and education seem to be the fields that are well-developed. It is rich in culture and art. A lot of institutes, museums, and galleries related to these areas are present here. Moreover, historical places are worth visiting. Many restaurants and cafes serve local and exotic food. Beautiful malls along with a lot of other majestic buildings complement the beauty of the city. Specifically, there are a lot of attractions for visitors that cannot be explained altogether. Kings Park is one of the most visited places with a great diversity of nature. Swan River with an amazing view is always a center of attention for people. Swan Valley with vastly grown grape fields and variety of foods are visited a lot. Perth Mint, Perth Zoo and a tremendous amount of other attractions are there for you to visit. 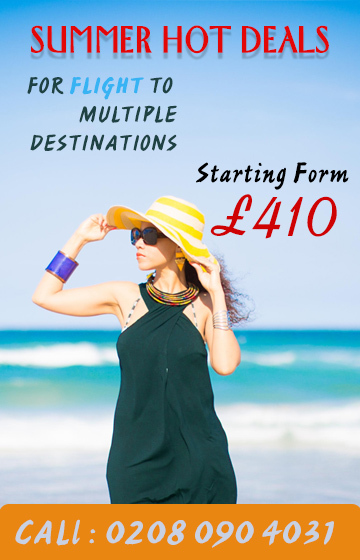 Travelwideuk.co.uk is taking you there with an amazing discount on tickets. Whether Emirates or Saudi Airlines you need not take tension regarding costs. Moreover, for the travelers of Egypt and Turkish Airlines can enjoy our discounts for a wonderful trip to your desired place.